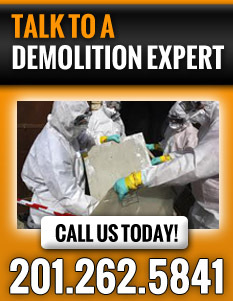 Carrying out a commercial demolition in NJ and NY is not a simple matter that can be done with just anybody. It is imperative to always have in mind that a demolition process should be safe to both the workers carrying it out as well as to the neighboring property. It becomes even more serious when hazardous materials, like asbestos or lead in involved. This is why it is recommended that you use only the services of real demolition experts when conducting any form of commercial demolition in NJ and NY or you are in need of home demolition services. At A. Mac Contracting, we offer unparalleled industrial and commercial demolition in NJ and NY and the neighboring states. We pride ourselves in having an exceptional safety record, highly trained staff, specialized demolition equipment and adequate years of experiences necessary to conduct any type of commercial demolition in NJ and NY. We are however not restricted to the above services with regards to commercial demolition in NJ and NY. We also offer safe home demolitions services for residential homes or other structures around the home. Therefore, feel free to contact us and ask for a free quote for commercial demolition in NJ and NY or any other demolition services you may require.